Imagine walking up to the counter to pay for a $12 meal, handing the cashier a piece of paper and walking out paying only a fraction of that price. Now imagine doing that every time you had to pay for something, think of how much more money would be sitting in your bank account that could pay for school, movies, a round of drinks, and more food. Let that dream become a reality. Cutting coupons is not just for the moms anymore. With higher tuition increases and the pressure of student loans, more students are turning to coupons to save a shiny penny and more places are throwing them at their consumers to get them in the door. Coupons have been coming out in the spotlight recently and have even become the star of their own television show. The TLC show, “Extreme Couponing,” features people who spend hours on end cutting, downloading and printing, organizing and planning out how to best use their coupons. Though it takes the role of a full-time job, these extreme couponers save thousands of dollars on everyday items. The extreme part comes when the stores end up paying the customer after the effect of hundreds of coupons takes place. Kinesiology major Jessie Gomez, 21, is one student who turned to coupons after transferring to CSUN this school year. She said she didn’t realize how expensive living on your own can be. Child adolescent development major Michelle Karlinsky said she uses coupons from the newspaper, such as Daily News, to save money on food and at restaurants, which include mainly Black Angus, Denny’s and Target. Newspapers are just one of the many ways students can save a dollar. There are now more ways than ever to save money with the advances of cell phones and technology. Several different applications for download that involve coupons have become popular for phones. It’s become as easy as showing your cell phone to the cashier to save yourself money. One popular site and app for coupons is Groupon, which features deals on almost anything imaginable in any given local area. “Groupon is a personal favorite of mine,” Jones said. Another popular app among students is the Yelp application, which has deals just for checking in to places. For example, students can receive a free Kamikaze shot at the Stovepiper Lounge and half off Boba at Bun Me for simply checking into these shops on their mobile devices. Sometimes it’s as easy as showing your CSUN identification card and saving 10 or 15 percent around campus. Barclays Coffee is just one location among the many which uses these apps to their advantage. Barclays barista Allison McKay said she noticed a rise in customers using the Yelp check-in app to save 10 percent on smoothies over the summer months. Department of marketing faculty member Deborah Cours said that the new-found popularity of coupons stems from the poor economic times. “In this economic time, people become focused on being frugal and saving money,” she said. It has come to a point where people are proud of saving money, “it’s cool to save money,” she said. Though the thrill of saving can empower a consumer, Cours cautions care when using coupons. “Only use coupons to buy products you would otherwise buy, things that you would actually use or consume,” she said. Stores will put out coupons to get the consumer to try new products or switch brands and the consumer will end up buying products they don’t usually need or use. “You end up spending money and not saving money,” she said. Another tip of advice Cours gives is to check different prices online. Many times another retailer will have a lower price on specific products without involving coupons. “Sometimes I’ll get coupons for discounted grocery items at Vons, but then I’ll check the Fresh and Easy website and find out that store is selling the same things at a cheaper price,” said 23-year-old communications major Jennalyn Ramirez. Cours also warns students about the buzz factor with sites such as Groupon. People get excited by sharing with friends and because their deals are prepaid, you end up buying deals and never use it, therefore wasting money. So the next time you go out for a cup of coffee or pick up some food on your way home, think twice before handing over your money so willingly. 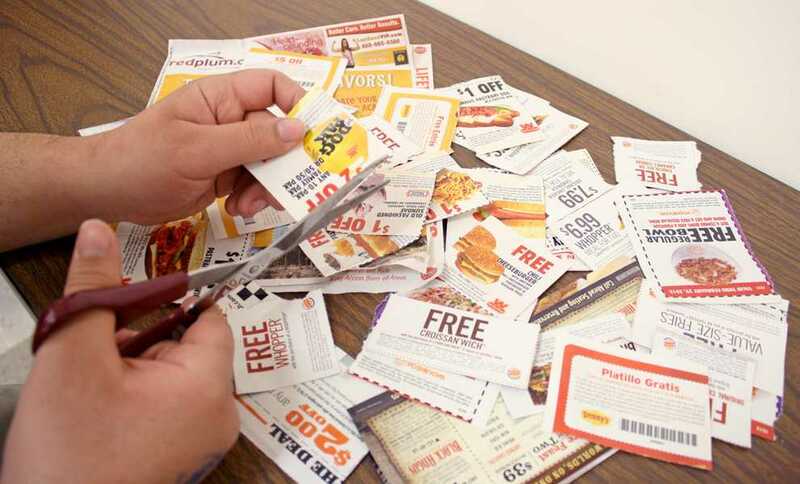 Coupon clipping has become the norm for college students living on a tight budget, and with new ways to receive discounts, students show no sign of ditching the coupon craze. This was an enjoyable post.